Whether you’re just entering your teens, a freshman in Huntington high school, or ready to graduate and head off to college, you’re ready for a fresh start. Braces sometimes just don’t fit into the equation. Lucky for you, there’s a clear solution. With Invisalign Teen® you can straighten your teeth minus the wires and brackets. 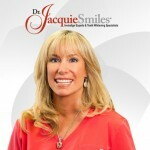 Dr. Jacquie Smiles specializes in Invisalign Teen for her patients in Huntington, NY. Now teens don’t have to worry about embarrassing metal braces in their yearbook photos or social media profiles. Dr. Jacquie Smiles offers a clear way to straighten teeth without metal braces, using Invisalign for teens in the Huntington, NY area. Invisalign aligners are removable and virtually invisible, which means you can straighten your teeth without anyone knowing. You may also brush and floss normally to maintain healthy gums and teeth since there are no wires, metal or brackets to cause mouth abrasions. To schedule your Invisalign Teen consultation with Dr. Jacquie Smiles near Huntington, NY at her dental office, please call 845-827-1149 or fill out the contact form to receive additional information. Invisalign is a popular alternative to traditional metal braces for many teens in Huntington. Invisalign is removable, comfortable and best of all clear. Many teens are highly sensitive to the way they look, so having this amazing option of clear braces helps many teens feel more comfortable in school, with their peers and in social settings. Choosing the right dentist or orthodontist who provides Invisalign service will take time to find. Many times your primary dentist will recommend a specific orthodontist and offer you a referral. Other times, you may have to find the right Invisalign expert for your teen on your own. If this is the case, you will want to follow these easy steps that will help guide you to an excellent Invisalign expert. 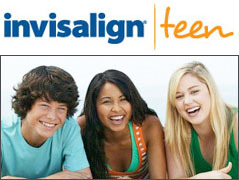 Search – Your teen is going to have frequent appointments during their experience using Invisalign. Look for dentists or orthodontists offices that are conveniently located in your area. Depending on your weekly schedule, finding a Huntington dental office location closest to your home, job or child’s school may be necessary. You will want to find the best suited area for your lifestyle. Teens will find choosing Invisalign will offer them freedom, convenience and comfort compared to standard braces that use brackets and wires. Take your time choosing an Invisalign expert for your child in Huntington, NY. You will want to choose the one who provides what is best suited for your child, as well as a positive atmosphere so your child will feel comfortable visiting the office frequently. Below are some of the frequently asked questions our patients from Huntington ask our office staff about Invisalign Teen. Please read below questions and answers to help you understand more about Invisalign and how it can help improve your smile.